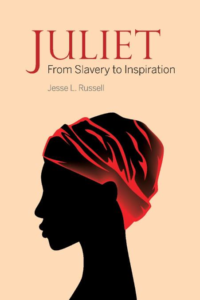 Jesse Russell has written numerous historical accounts of families in his native Clarke County, Virginia, but the book “Juliet – From Slavery to Inspiration” is his first book. What began as research on his own family led to Mr. Russell becoming intrigued with a slave woman named Juliet who along with her family had been freed by his third great grandfather, only to find that his second great grandfather challenged the manumission clause in his father’s will that led to an 8 year long court battle ending with the auction of Juliet and her family. What he discovered was an astonishing truth that led to his recent reunion with the descendants of Juliet and the incredible achievements of her great granddaughter who became renowned as one of our country’s African American pioneers. The talk will begin at 6 pm and last approximately one hour, including time for questions and comments from the audience. Attendees will have a chance to socialize beforehand over drinks and light hors d’oeuvres, beginning at 5:30. Ticket prices: $10.00 per person in advance and $15.00 at the door.